Genre: Feminist Fantasy. Contemporary with big issues. 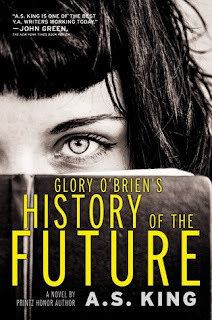 "Dark, gritty, poignant, and with a good dose of black humor, Glory O'Brien's History of the Future is an emotionally compelling story with a touch of strange"